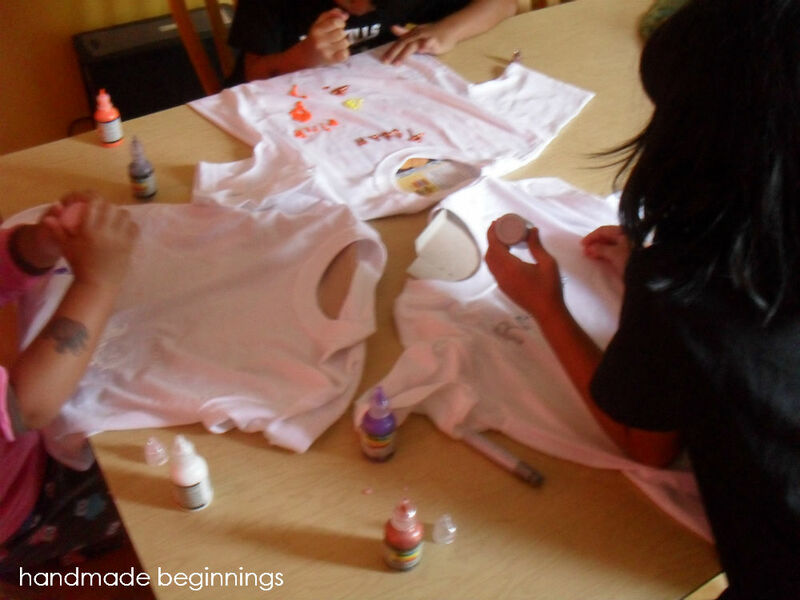 My daughter and 6 of my siblings had a lot of fun decorating t shirts with fabric paint last week. 3 of them did a Ramadan theme, one of the did an Eid theme, one of them made a school theme, and the littlest one had fun making an abstract theme :). Good times alhumdulillah. I am really glad I am the 2nd eldest child, and the eldest girl in my family, it’s really a blessing to do fun stuff with them, and to watch my daughter play with her aunts and uncles. Hopefully her void as an only child is filled in a little way whenever she is with them.